As we have since July 2006, each Friday we’ll post our sampling of cigar news and other items of interest from the week. Below is our latest, which is the 522nd in the series. 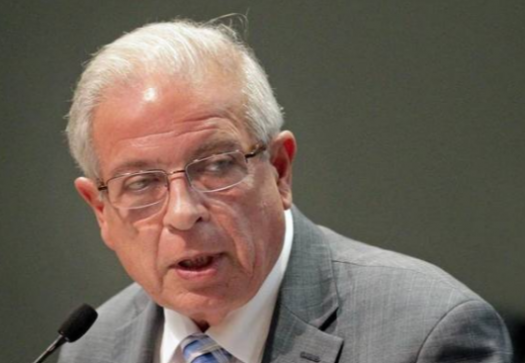 1) Tomás Regalado (pictured above), mayor of Miami, this week sent a letter to the director of the White House Office of Management and Budget, imploring the agency to reconsider FDA regulation of cigars in light of “the new administration and its own regulatory review and reconsideration process.” An email alert from Cigar Rights of America applauds Mayor Regalado for the letter, which calls for a comprehensive economic impact analysis, as well as a reexamination of “option two,” which would exempt premium cigars from the regulation. The letter can be read in its entirety here. Some interesting statistics found in the letter include the following: Florida is headquarters of over 40 corporations in the premium cigar industry; Florida is home to at least 232 small businesses reliant upon the premium cigar industry; and Miami considers itself the base of operations for the industry, with services ranging from shipping, trucking, bonded storage, etc. 3) In last month’s “Question of the Month” (which admittedly ran significantly longer than a month), we asked readers to select the answer that best describes their position on the U.S. embargo of Cuba. “The embargo was right when it was enacted, but now is the time to end it” was the top answer with 36% of the vote. It was followed by “the embargo should be phased out, but only if Cuba meets tangible benchmarks towards freedom and democracy” (30%); “the embargo never should have been enacted” (19%); and “the embargo should be kept in place until Cuba adopts full freedom and democracy” (15%). Be sure to weigh in on this month’s question by voting in the sidebar to the right. And feel free to contact us if you’ve got a good suggestion for a future StogieGuys.com reader poll. 4) Inside the Industry: Steve Saka reported on Facebook on Tuesday that he received the first shipment of Umbagog, a paper-bundled cigar with a Broadleaf wrapper deemed too “ugly” to be used for his more premium Mi Querida line. The sizes being shipped are Corona Gorda (6 x 48, $6.45), Robusto Plus (5 x 52, $6.45), Toro Toro (6 x 52, $6.95), and Gordo Gordo (6 x 56, $7.45). “For us, [Umbagog is] not a profit center, but a cash recovery product to make efficient use of the Broadleaf,” wrote Saka. “In my perfect world, all of the wrapper coming out of my pilons would be perfect and none of these would exist.” Umbagog will be appearing at about 35 retailers nationwide; a preliminary list of retailers can be found here. 5) From the Archives: This was our most-read article last year: our groundbreaking piece about how the FDA misleads the public it is supposed to serve, especially when it comes to handmade cigars and youth smoking. 6) Deal of the Week: The cigars are a mystery, but you do get a lot of them. They’re all name brands, not house brands or no-name bundles, and they come for less than $3 per cigar. These Grab Bags tend to sell out fast, so if you need to fill up your humidor on the cheap, act quickly.